News just in: carbs are good for you. Maybe – but don't quote us on that. 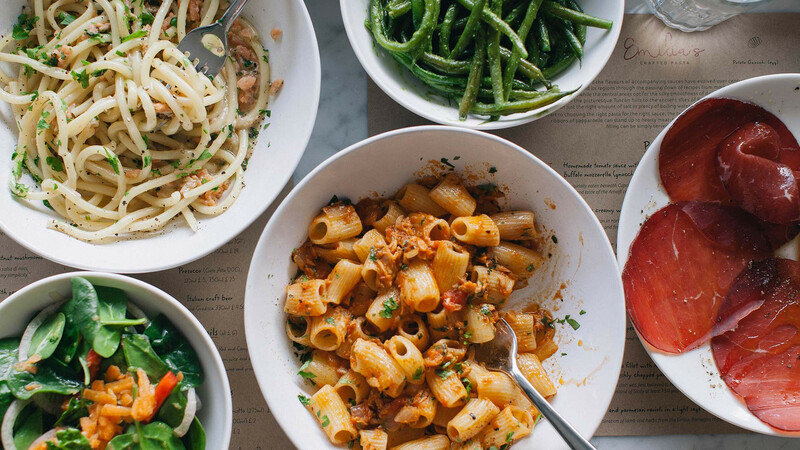 Either way, it's time to get yourself down to these pasta restaurants, where you'll find the likes of cacio e pepe, gnocchi alla bufalina and scialatielli astice (seafood pasta) begging for your attention. We've rounded-up the best London has to offer when it comes to authentic fast and casual Italian dining. 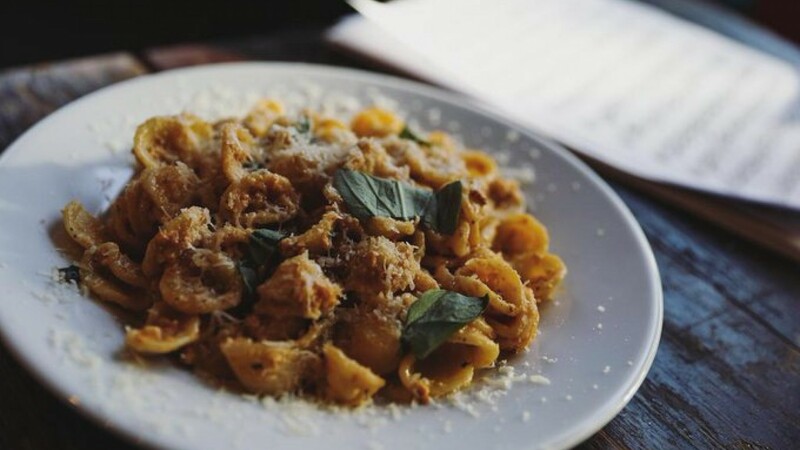 Go classic with a plate (or two) of moreish hand-rolled pasta at the ever-popular Padella or head east for silky ribbons of pappardelle at Emilia's Crafted Pasta. 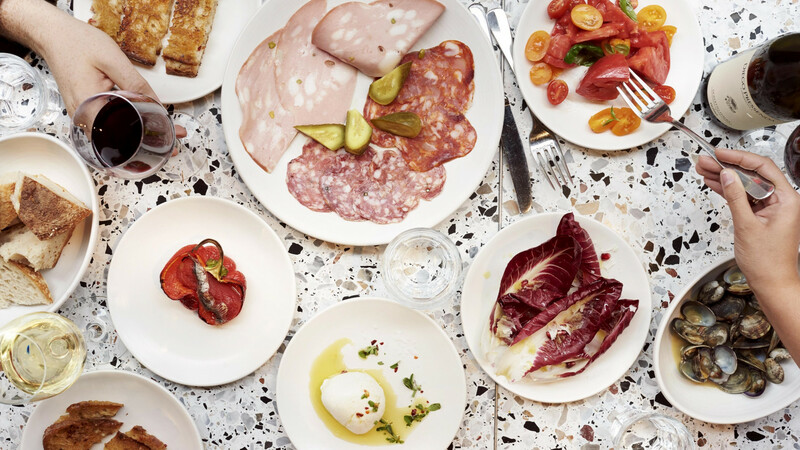 We've heard that Italo Deli in Vauxhall is a special spot that can't be missed. 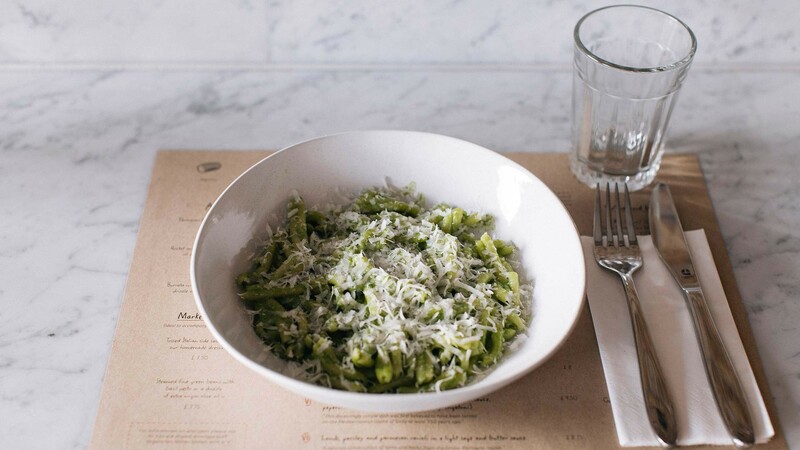 Oh, and don't forget to check out North London's Ostuni for its bright green pasta shaped like delicate olive leaves. Stevie Parle's colourful new Carnaby restaurant might not be heaven, but it comes pretty damn close. 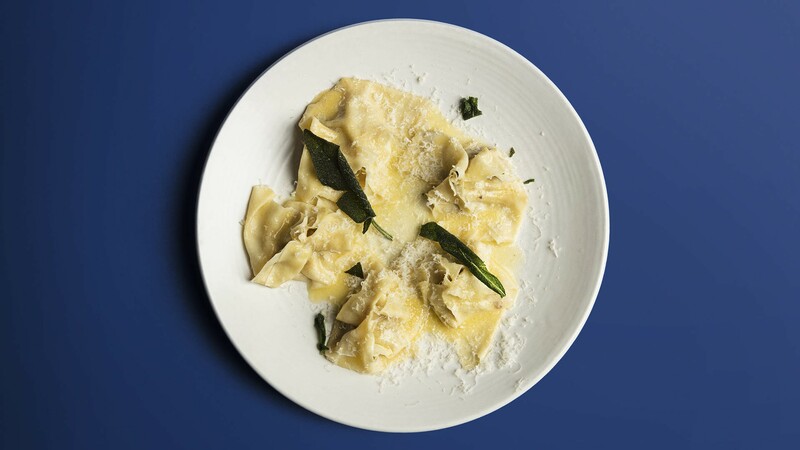 It's a paradise for fresh pasta stuffed with seasonal ingredients made every morning in full view of the windows, so next time you find yourself strutting the streets of Soho make a detour to catch them prepping for the day ahead, and then return for service and try to resist ordering the whole menu. Hidden behind a clothes shop, the Portobello Garden Caffe is hard to spot, but once you've stumbled across it you'll kick yourself for not looking closer before. Brush past the flowers and produce dangling off wooden ceiling beams and settle down for ricotta and spinach cannelloni and gnocchi alla bufalina dished up behind the rainbow-tiled pass. 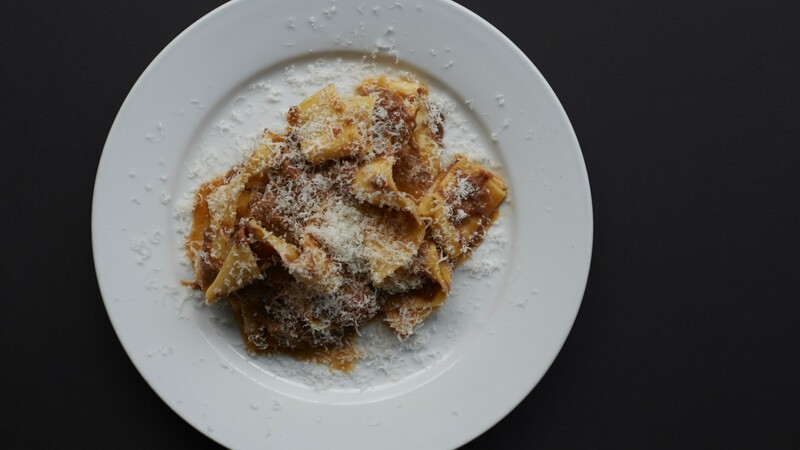 The house-made pasta at Tim Siadatan and Jordan Freida's restaurant debut, Trullo in Highbury, proved so popular that the duo went on to open a second site dedicated to the stuff – Padella in Borough Market. The dough is hand-rolled, and the sauces are inspired by the pair's trips to Italy. Every dish on the concise menu is as outstanding as the last, and it's updated regularly to reflect changes in seasonal produce – at the time of writing, choices included tagliatelle with spicy nduja, mascarpone and parsley; and tagliatelle with Scottish girolles. Yum and yum. It's so popular that there are frequently queues of people down Southwark Street, but with food this good – and at such great value – it's worth it. Grab your Oyster, we're heading to top-rated Italian kitchen Emilia's in St Katherine Docks. 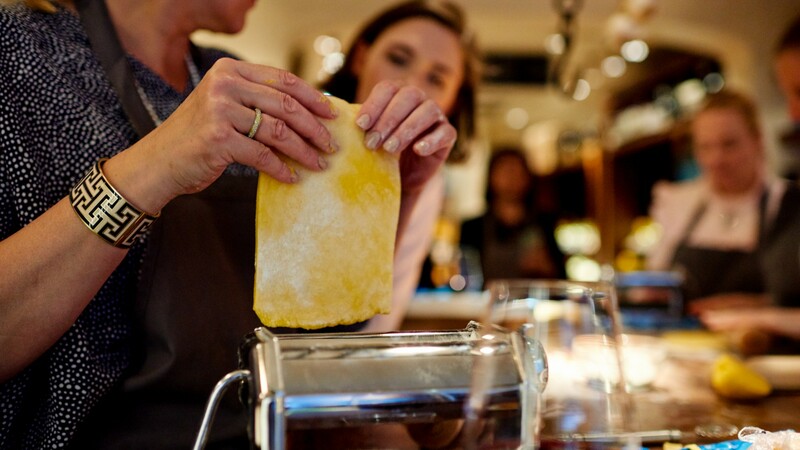 It's the place to hoover up hand-kneaded casarecce pasta doused in creamy walnut sauce, smoked salmon carbonara and béchamel bolognese served up with silky ribbons of pappardelle. You know when you stumble across something so good you're reluctant to share that little nugget of joy with anyone else? Well, Italo Deli is that kind of place. A tiny deli in Vauxhall's Bonnington Square run by Charlie Boxer – the eldest son of British food champion Lady Arabella Boxer – it serves up generous portions of pasta sourced from South East London's Pastificio Mansi. From down'n'dirty burgers to hip cafés, Stoke Newington's food offering is on the up. With it comes this laidback, bright and breezy Italian restaurant, complete with a lush living wall and a short but sweet menu of seasonal pastas. Hipster? In N16? You're joking. "Burro e Salvia" is Italian for butter and sage, a classic pasta accompaniment. And that should give you a pretty good idea of what to expect of this café, which now has sites in Shoreditch and East Dulwich – straight-up, no frills pasta. 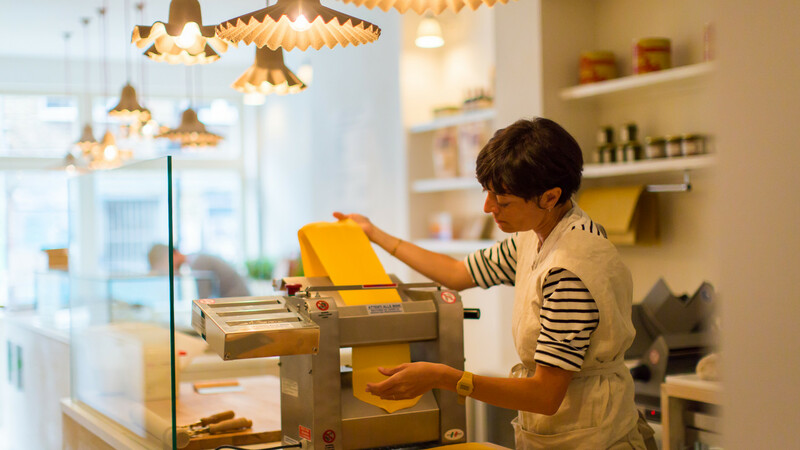 There's tagliatelle, agnolotti, ravioli and tajarin all'uovo, (a long and skinny cut of spaghetti hailing from Piedmont), amongst others on the weekly changing menu, and you can also buy fresh pasta to take home. Feeling stressed? Watching the team hand-pulling the noodles is strangely therapeutic. Every Sunday – as fans of Columbia Road's Flower Market take this quaint East London street and transform it into the road to hell – Campania's rickety wooden benches and beaten up chairs creak under the weight of punters eagerly awaiting their Italian coffees and Sunday suppers. We imagine that there's less creaking and jostling on other days, but we've only ever queued outside this rustic southern Italian restaurant – ill-fated flowers in hand – for steaming bowls of tortelli and scialatielli astice on THAT day, the day of all days... Hey, we said we didn't appreciate the crowds. We never said we weren't a part of it. 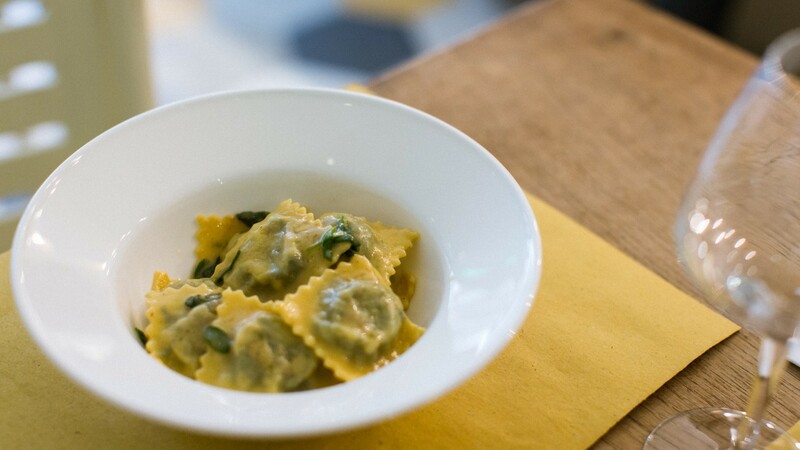 A pastificio is, funnily enough, a pasta factory – which is exactly what this place is, as well as being a deli-café and wine store that was born out of Angela Hartnett's Café Murano next door. As you'd expect from something that carries the name of such a doyenne of the food scene, the pasta here is bang on – made fresh daily, either stuffed or plain. This is the exact stuff that's used in the restaurant, too, so you can try before you buy while sampling the rest of Harnett's utterly delicious brand of modern Italian cuisine. You could head to Padella and tuck into a plate of gnocchi and come away beaming, knowing that you only spent £4, plus a hour of your life queuing... Or, you could meander over to Luca on St John Street blow the budget and your mind on a £35 plate of taglierini showered with black winter truffle and come away thinking: “Wow, I never knew flour, eggs and fungi could cost so much, but now I've seen the light and I'm never going back”. To be honest, you'd probably say something similar about Luca's other, more affordable, pasta dishes, as well. See the £14 plate of turnip top orecchiette with smoked cod's roe, chilli and garlic? That sounds nice. It would probably ignite that same fire, too. 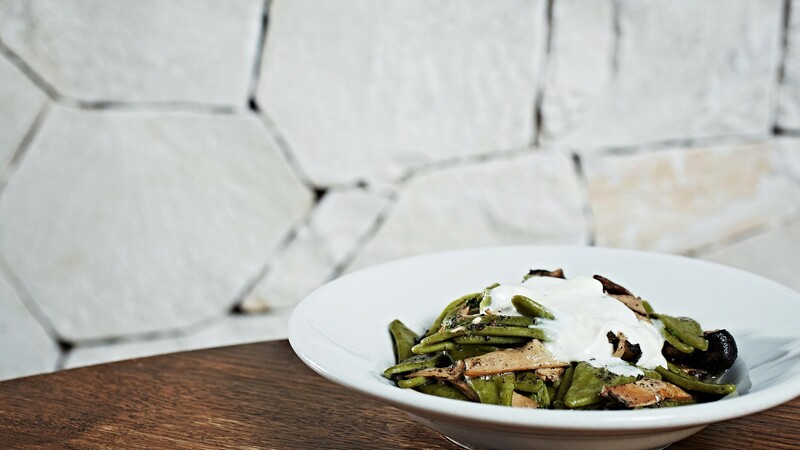 This restaurant isn't solely devoted to pasta – it focuses on cuisine from the Puglian region – but the dishes on offer here are pretty damn spectacular and make it worth a mention in its own right. There was one thing in particular that we had in mind: green pasta made with spinach and then delicately shaped to mimic the leaves of the olive tree, topped with creamily collapsing burrata and decadent, pungent truffles. Make ours a double portion. Savurè is the real deal – its debut outpost is in Turin, northern Italy, which means you'll find traditional techniques and top-notch ingredients at its first UK branch in Shoreditch. Its range of daily made pastas include agnolotti, pansotti, tagliatelle, maccheroni, gnocchi di patate, with sauces ranging from pesto Genovese to a hearty beef ragù. The best bit? You can also take the raw pasta home to cook.